You are here: Home / Money / Business / Money Saving Tips When Leasing a Vehicle. 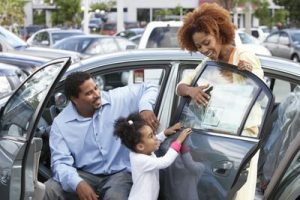 Money Saving Tips When Leasing a Vehicle. (ThyBlackMan.com) Leasing a vehicle can be compared to car rental, only it’s for a longer term. There are several benefits to it, such as a lower monthly fee and the opportunity to drive a new car model at a lower cost. However, it also comes with drawbacks like its higher price in the long run and customisation not being allowed. If you are interested in getting a car lease, here are some useful money saving tips that you will find helpful. The sticker price or MSRP (manufacturer’s suggested retail price) is the price that you will see on the sticker placed on the window of the vehicle. This doesn’t mean that it should be the final cost of the car. Do not be scared to negotiate personal car lease deals. Aside from the price of the vehicle, try to make the interest rate lower too, to decrease your monthly payment. The mileage limit of leased cars varies, but the average is 15,000 miles per year. It may already be enough for you if you do not drive that much. Buy more mileage or find better deals if you need more than what’s offered. You can refund unused mileage on the additional that you purchased. You will be charged at a higher rate if you go over the original mileage limit. 50% within the same period; the first one has a better depreciation value because it is lower. Leased cars are usually brand new, so they come with a warranty. Find out how long it will last and make sure that the duration of the lease does not go over that. For example, get a contract that will only last for two years if the warranty of the car is up to two years. If you decide to extend the lease, get an extended warranty too. This might seem like an added cost but considering that you will be covered for the car’s repair and maintenance, it is still a money saver. If you are leasing a car and use it for your business, it can be added to your tax deduction. Don’t forget to include this when you file your tax return. The lease duration is not just connected with the car warranty, but your commitment to completing the term too. Make sure that you will finish the contract because ending it earlier than the agreed termination date will cost you added money. The fine can be equal to the total of six monthly payments or even more. Think it through before you sign the lease contract and make sure that it is the right option for you.